Although the Turpin Meadow Ranch itself is surrounded by scenic wonder and contains many things to do on the ranch itself, one of the best benefits we provide is a launching pad for many other nearby adventures. 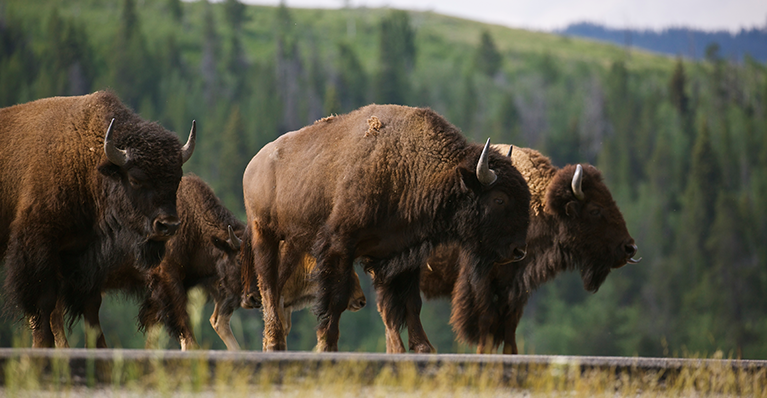 While exploring near the ranch, you may encounter local wildlife. Although much of it is friendly, some of it has the potential to be dangerous. Learning how to spot and identify local wildlife tracks can be fun and educational for you and your family, as well as helpful to avoid potential problems. There are three different types of tracks to note, and each tells a slightly different story. This type of track is made when a material is tracked from one surface onto another. Usually these tracks are made from moisture, like a wet foot encountering sand and then transferring the sand onto a rock, log, or other, drier surface. These types of tracks are more delicate and tend not to last as long; if one is encountered in nature, depending on the material, it is probably fairly recent. A muddy track may last longer than a sandy one, for example. In grasses or other vegetation, there is a fleeting track often referred to as “shine.” This temporary track is a shiny spot in the surrounding dull vegetation. To learn how to spot these types of tracks, walk through the grass, circle around, and observe the variations you have just made. You should see a slightly darker or shinier impression where you have walked, which will vary based on moisture level. In damp vegetation, the spots can appear dull rather than shiny. Either way, the trampled vegetation will briefly show a different color and/or texture than the plants around them. Spotting a shine can also indicate an animal has very recently passed through. These are the types of prints we are most used to seeing, typically in mud or other soft earth. Compression tracks may also be left in moss, snow, or leaf litter, but a clear print with toe numbers and presence of claws might not be visible. The overall shape itself can be helpful, however. Felines tend to leave a round impression, while canines have oval-shaped prints. Deer leave a heart-shaped compression, and rodents leave a cross-shaped track. Bears are those for which you should be most alert, and leave a five-toed print with claw marks above each digit. When checking compressions for age, there are a few things to consider: is the print still wet? If so, it is probably fairly recent. If anything has obscured the track, it’s probably not as fresh, and if you can time the event, you may have a good idea how old the tracks are. For example, if you are aware of a snow or rainfall that occurred an hour ago, if the tracks contain snow or rain, they are probably at least an hour old. How many of these can you spot while on the trail? Note that coyotes and wolves are not present on this chart, but they are present in the Tetons and Yellowstone area. Their prints are similar to canines, and they tend to stay away from humans and are typically harmless. 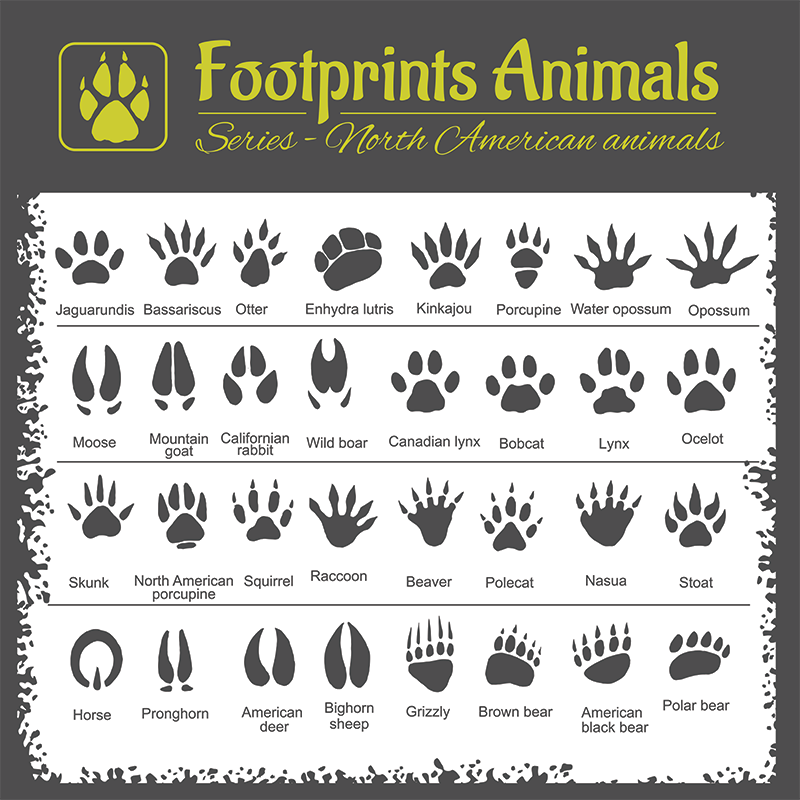 When spotting animal prints, you may notice that raccoon tracks resemble tiny human hands, except the palm is narrower and creates a deeper impression, and the fingers are longer and tipped with claws. Raccoons are usually not dangerous, but it is good to stay away if you see one. It’s easy to identify bears, because their tracks look a little like a five-toed dog print with claw indentations above each digit. If you see these tracks and they appear fresh or recent, or especially if they are accompanied by smaller versions, it would be a good idea to head back the way you came and make a wide berth in the opposite direction. Whatever your experience brings, we hope you have fun and are safe while at Turpin Meadow Ranch. Whenever heading out into the wilderness, we recommend you check the appropriate safety recommendations for your area. We also offer guided tours with experts on our local terrain, wildlife, and best practices to ensure you make the most of your time in the area.